The photo looks north from Pleasonton Avenue. The car in the distance is on Taneytown Road. The 1st Ohio Cavalry monument is on the upper right. July 3. 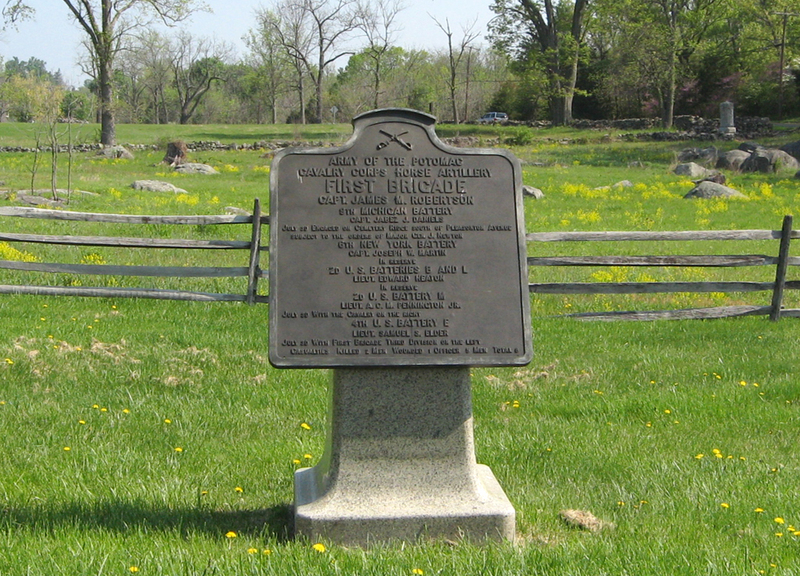 Engaged on Cemetery Ridge south of Pleasonton Avenue subject to the orders of Major Gen. J. Newton. Lieut. A. C. M. Pennington Jr.
July 3. With the Cavalry on the right. July 3. With First Brigade Third Division on left.